Android is everywhere. There are many devices that run on Android. Android Smartphones, Android Watch, Android TV, etc. but the Android PC is mostly an uncommon thing. Is there any Android VM? So How you can run android apps on PC? There are many ways you can run mobile apps on PC. Out of those I have mentioned 2 best ways to run Android apps on Windows PC or MAC PC. For this, you have to install Android Emulators on your PC. These android emulators will convert your windows desktop into an Android desktop. These 2 Android Emulators are easy to install and you will get familiar with them very easily. BlueStacks is the worlds first and only android gaming platform powered by Android Nougat (Android N). using Bluestacks App player you can run android apps on your PC. 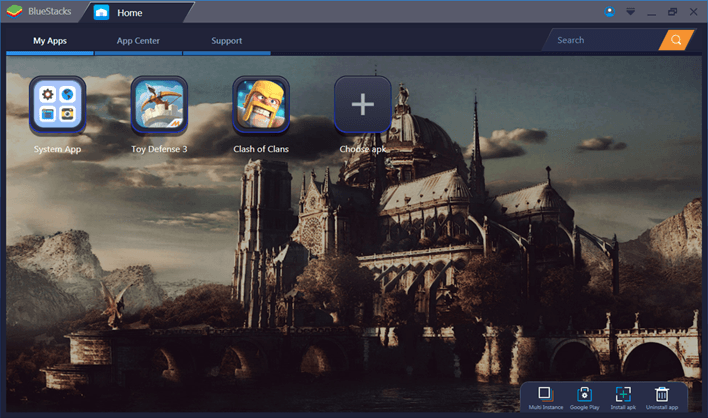 Bluestacks allows you to run mobile apps faster on your PC. You can Enjoy the Android Games on a bigger screen and with joystick or keyboard. There are many games I prefer to play on Bluestacks rather than on mobile phone one of such game is Clash of Clans.Gamers can use millions of Android apps on the BlueStacks Platform. All Android games or applications run smoothly on BlueStacks. You can chat with friends in line, browse your Facebook account, shop online, and play games all in one interface with BlueStacks. My suggestion would be you should go for Bluestacks. Its fast and easy to install. it provides you a complete Android experience on your Windows PC. It gives you Play Store where you can download any game that you want. 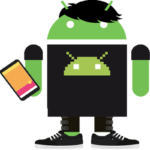 Andy is another android emulator to run Android apps on your PC. It is as simple as Bluestacks and allows you to run mobile applications on your PC. Following are some awesome feature offered by AndY because of which it is among the top 2 Android emulators to run mobile Apps on PC. Did you manage to run Android apps on your PC? Did you find any other cool Android Emulator? Let us know with a comment.